Young Musicians in Concert – a series of performances by some of the world’s most talented young musicians! This spectacular showcase of young star instrumentalists will feature some of the world’s most gifted young musicians and is set to dazzle New York audiences. All of the prodigies were discovered by the Vladimir Spivakov International Charity Foundation and later became winners of national and international competitions. These young masters will perform a vibrant program of beloved classics and contemporary repertoire. The concert will include introduction by Maestro Vladimir Spivakov and short Q&A segment. 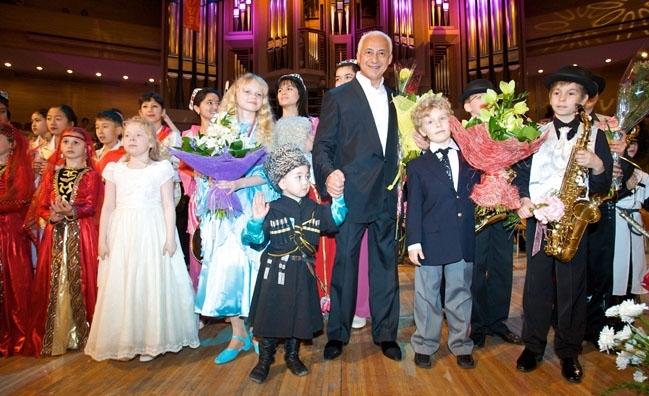 Vladimir Spivakov International Charity Foundation (www.spivakov.ru) was established in 1994 and is headed by celebrated Russian violinist and conductor Vladimir Spivakov, conductor of the famed Moscow Virtuosi and the National Philharmonic of Russia. The Foundation participates in the UNESCO project “In Support of the Culture of Peace and Non-Violence.” Since its inception, it has granted scholarships to more than 800 young talents.